Located right in the heart of Downtown, Samaritan Medical Tower overlooks the beautiful city of Los Angeles. This medical building is adjacent to Good Samaritan Hospital, rated one of the best hospitals in the country for the past seven years. 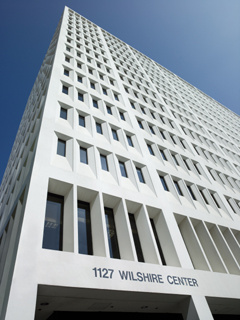 The 1127 Wilshire Boulevard location is strategic for medical practices, with easy access to some of the finest medical attention Los Angeles has to offer. The common areas and medical suites are superbly designed, and feature magnificent views of the city from each of the 16 floors. The building is home to dentists, internists, pediatricians, ophthalmologists, chiropractors, psychologists and more. The face of Downtown is new and dynamic, and Samaritan Medical Tower is in the midst of it all. The building is within walking distance to restaurants and lofts in the vivacious focal point of Downtown, not to mention its prime spot on the well-known Wilshire Boulevard.